Here in the South, we like sports. Football, Basketball, Baseball, even the occasional Hockey or Soccer. 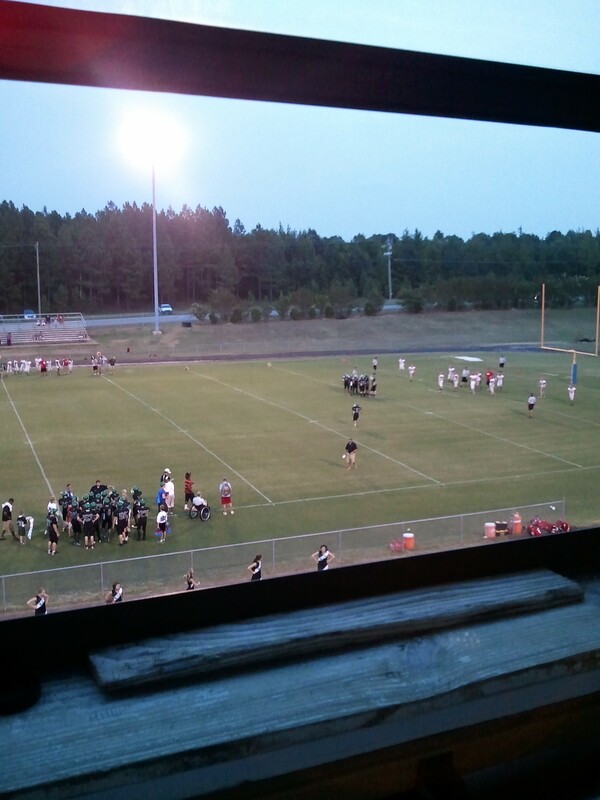 There is one polarizing sport that, although it happens across the country, remains a Southern Staple. NASCAR. Many view the sport as one big left-turn. While that is technically true, to leave your assumptions there would be a disservice both to the sport and to yourself. NASCAR is a high-octane blend of Engineering, Physics, Mathematics, Mechanics, Intuition, and Skill. From calculating minute to minute gas mileage, to adjusting the near microscopic details of the wedge, downforce, and air flow throughout the car, math and science take the wheel every time the green flag waves. To simply assume that there is nothing of value in the sport, is to show prejudice and close-mindedness. NASCAR is like any other sport, there is drama, action, emotion, and no real logical reason for it to exist. The Daytona 500 was this week. 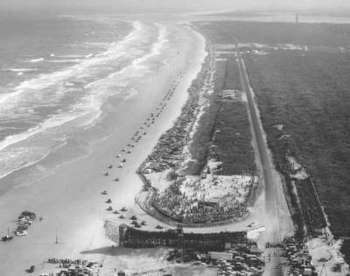 As you can see from the picture, they used to actually race on the beach itself. This Sunday marked the ending one of the shortest off seasons in sports. NASCAR ends in November and begins again in late February. Basically, they take Christmas off. A tragedy struck during the Grand National series, over 30 people were injured. One of the young rookies had his car utterly destroyed. The engine made it into the stands as did quite a bit of debris. There were no fatalities, to me that is a testament to the safety of these cars and these races. A few years back, I was a Talladega when a similar wreck happened. A car was forced into the fence separating the crowd from the action. That time the fence held, but injuries still happened. However, when you consider that a stock car weighs no less than 3,400 lbs and they travel a speeds reaching (and sometimes passing) 200mph, it’s amazing that more injuries don’t happen. The reason for this, is that millions of dollars go into researching ways to make tracks safer for both the drivers and the fans. New safety measures and precautions are implemented every year, creating an ever safer sport for all involved. Like any sport, stock car racing has it’s dangers, but overall safety is the number one concern. My thoughts and prayers go out to all those involved in the weekend’s accidents.